We’ve all heard that being a grandmother is way more fun than being a mother. Well, the good news, for those of us with uncooperative offspring, is that being a grandaunt is equally thrilling. Luckily for me, two of my nieces chose to reproduce, so I now have 3 little girls and 1 little boy in my life. Unfortunately, 2 live in Massachusetts and 2 live in Virginia, so I’ve had to figure out how to make those magic moments together really count. 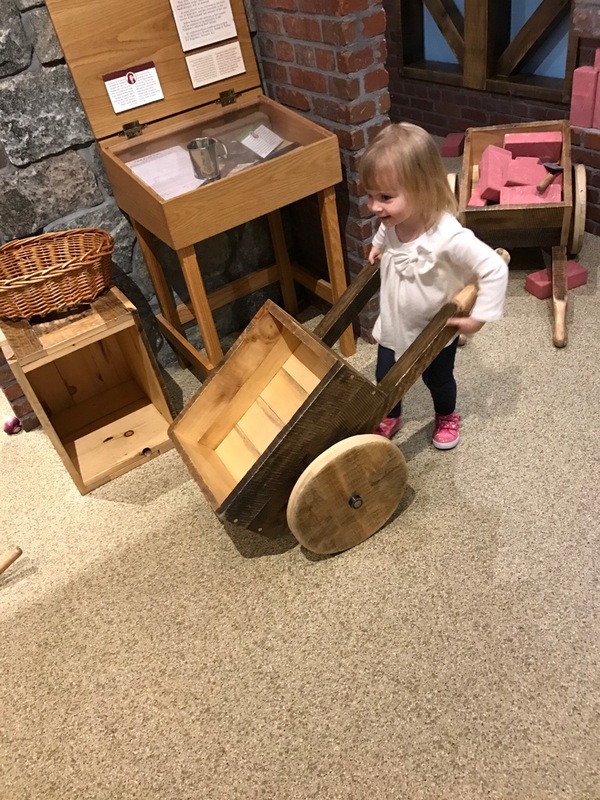 And since I’m in a figuring mood, I figured, why not share what I’ve learned with any blog buddies who have important little people in their lives? It is open every day except Monday. The parking lot is small, and there is construction next door that limits parking further, so arrive with lots of quarters to feed to the on street meters. The museum offers the use of umbrella strollers for free. There is no food service, so you need to bring your own snacks. These can only be eaten in the lunch room or outside. The $9 per person admission was so very worth it, offering hours of entertainment. What better way to spend a rainy day? Now that we have all of the ‘good to know’ stuff out of the way, how about the museum itself? In a word, it is absolutely FANTASTIC! 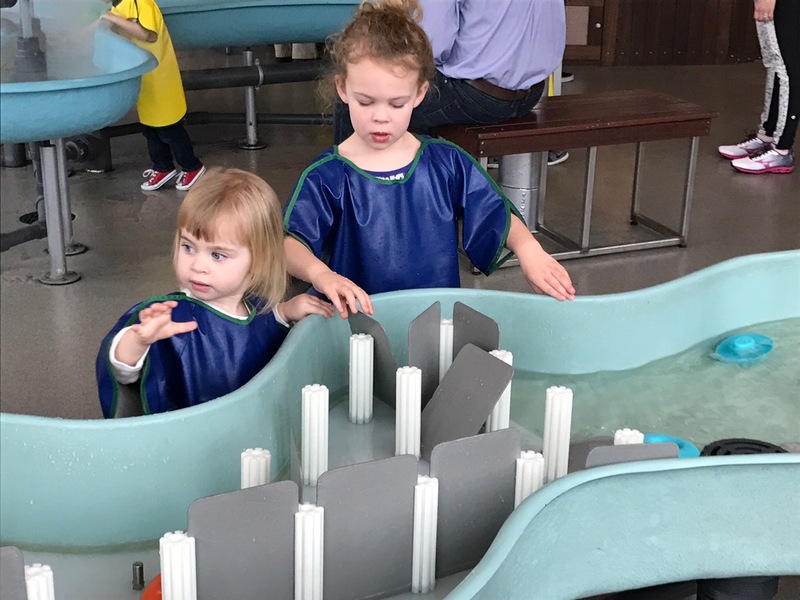 That place is perfectly sized for young children, with tons of fascinating, hands on activities. 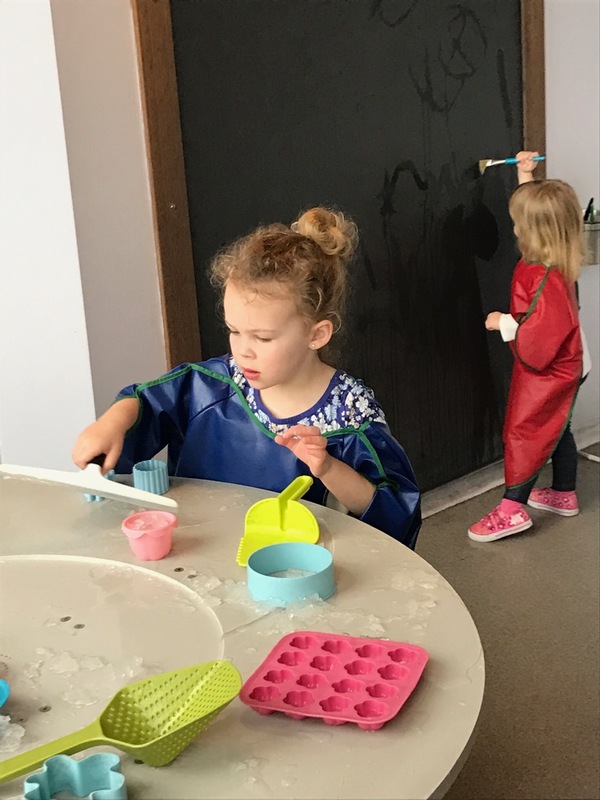 The museum supplies aprons so kids can splash away. The blue aprons were a little large for the younger girl, so we downsized to red. There is something to delight everyone, regardless of whether you want to paint with water, or scrape an ice like substance from a table. (No, I have NO idea what it was). Notice the red and yellow circles on the walls? Those are notes to parents, in English and Spanish, explaining the educational purpose of the activities. 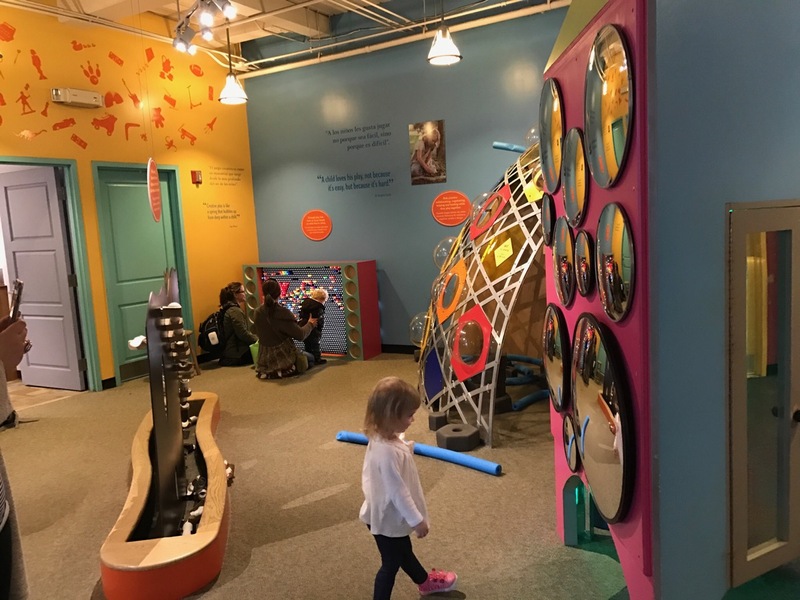 The museum is spacious, colorful and loaded with child sized spaces to explore. Soft sculptures provide great photo opportunities for cell phone paparazzi (we are EVERYWHERE)! Her grandmother is going to put these gardening skills to good use! Can’t wait to get my inner child- there myself! You know, of course, that this started out being an email to YOU. This is SO your kind of place. I’ve got a couple more up my sleeve for June. It took more years than I wanted to become a grandma (now I have 2 grandchildren), but I also had two cooperative nieces who decided to reproduce well before my son did. 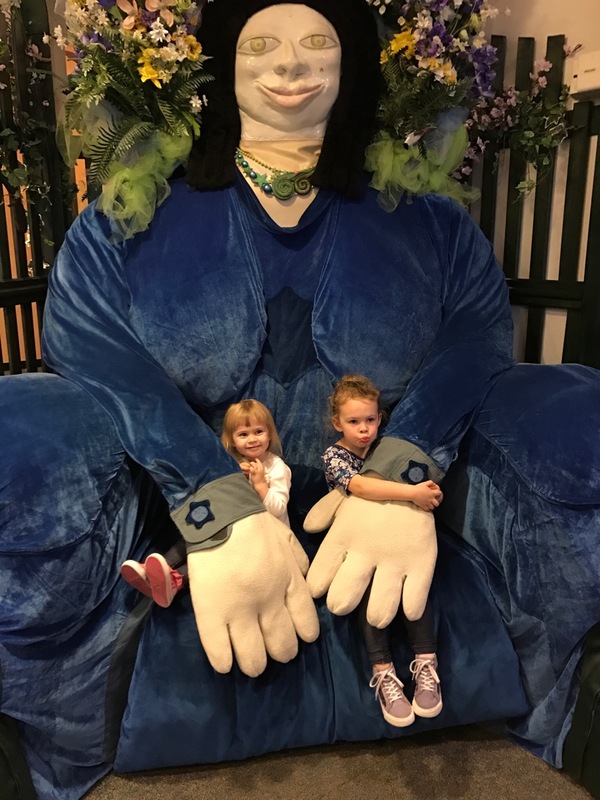 I have LOVED being a great-aunt to them and have worked very hard to build a relationship with them even though one set lives in Virginia and one set in PA. I have made it a point to visit them on a regular basis and it’s paid off! They know “crazy Aunt AGMA” very well! 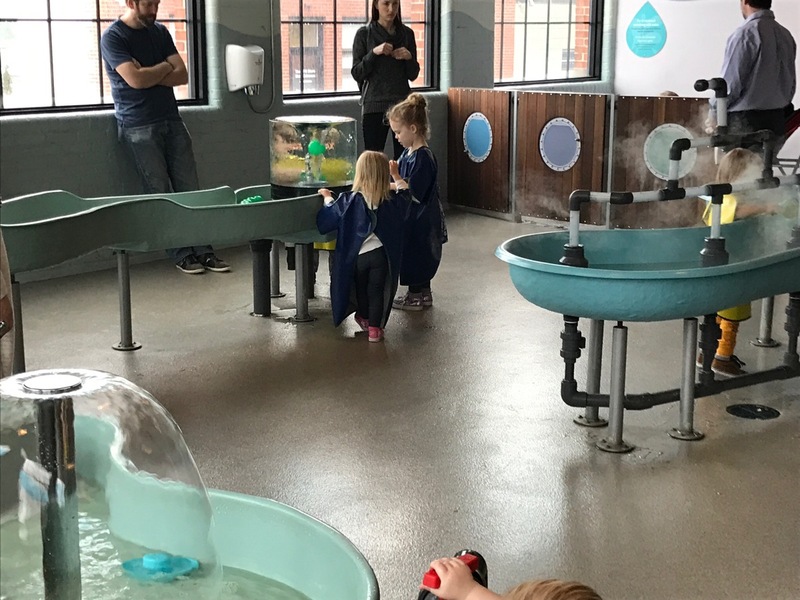 The Children’s Museum looks fabulous!! 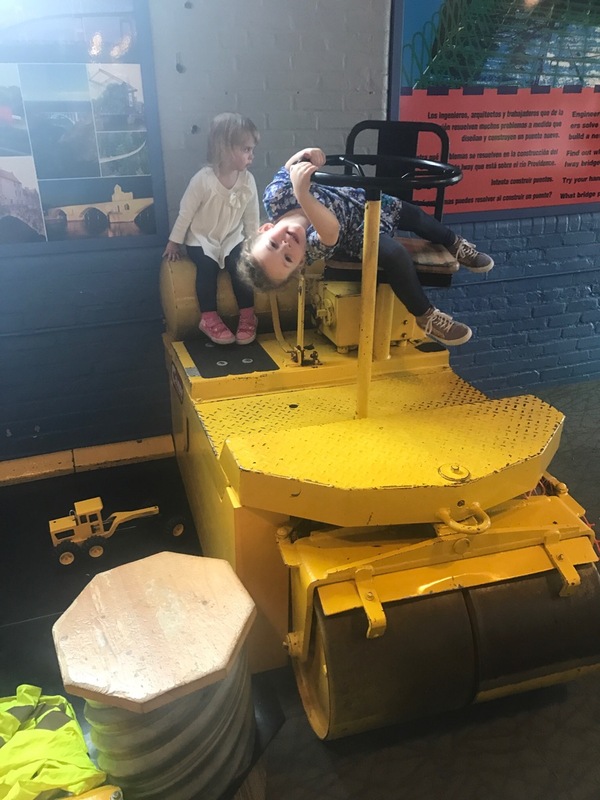 In June, my girls are coming to visit, and we have some fun Pennsylvania plans. I’ll be blogging about it. 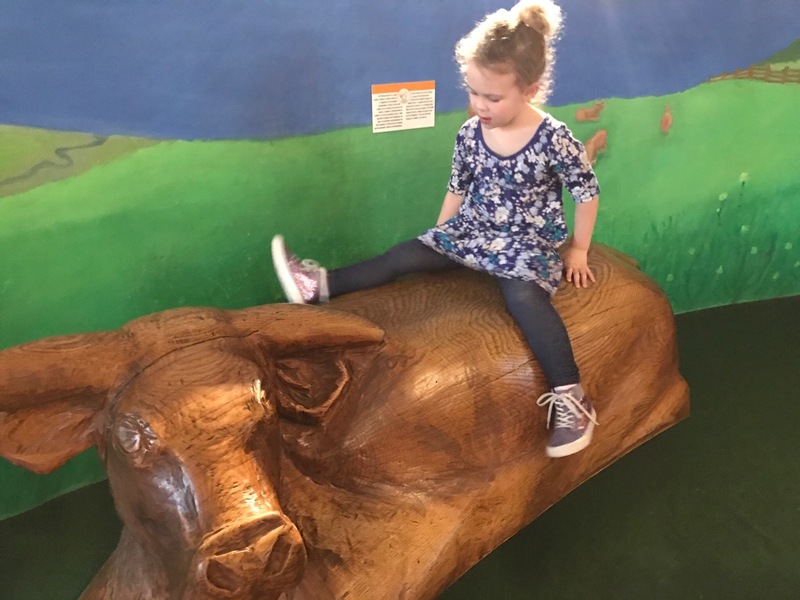 Maybe there will be a Pennsylvania outing in YOUR grandniece’s future. Being a grand anything is marvelous, and I think you are making the most of it. The children are fortunate to have you in their lives. 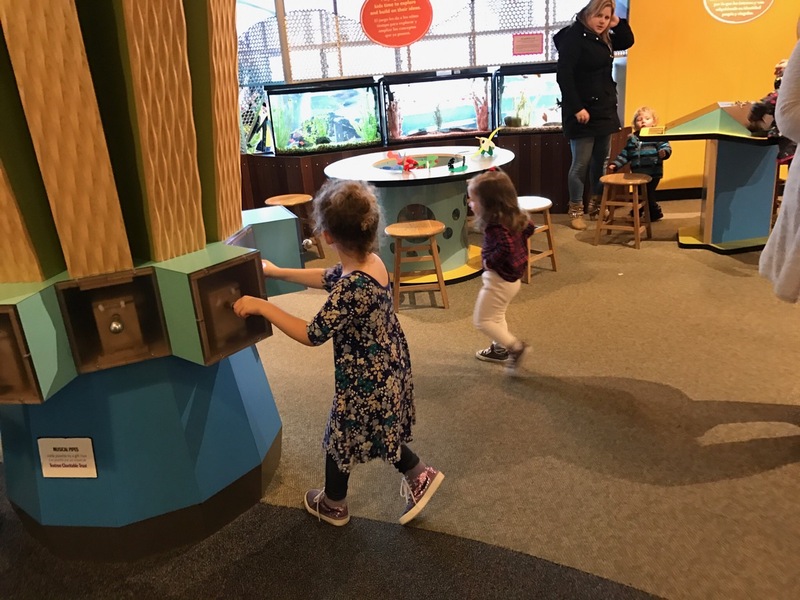 We did the St. Louis children’s museum with our grandchildren, and it is one of the best memories we all share. Previous Previous post: You Call This Work?